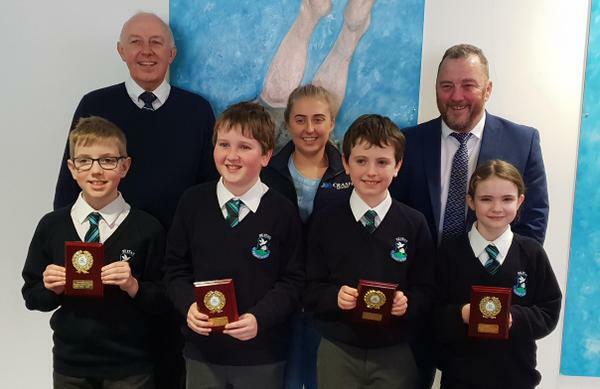 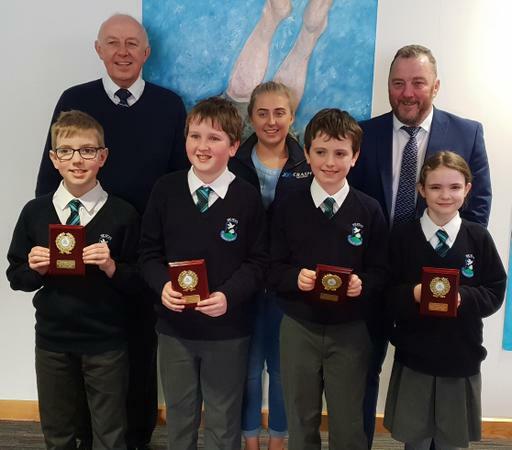 Four pupils from St. Ita's, Caitlin, Eoin, John and Aran took part in the Lisburn and Castlereagh area heat of the NI Primary Schools Road Safety quiz which was held at the Lisburn Leisureplex before mid-term break.. 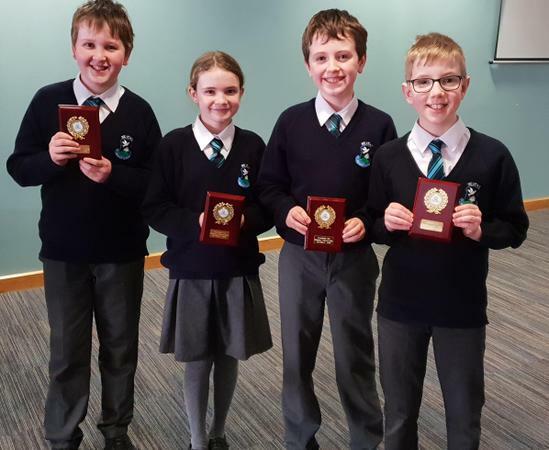 The quiz consisted of seven rounds of eight questions plus an extra round on road signs. 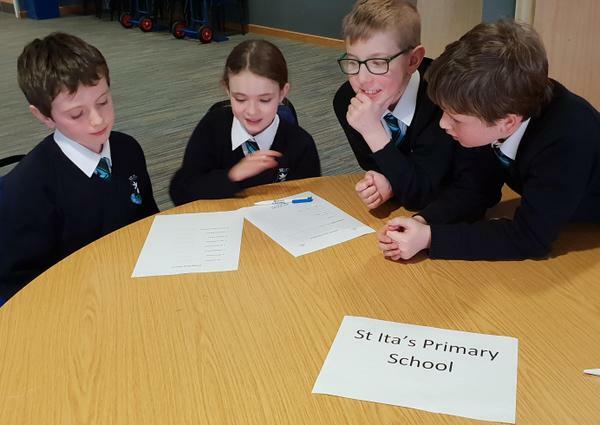 The road safety questions were mostly aimed at pedestrians, cyclists, the use of seat belts, crossing the road and the proper use of pedestrian crossings. 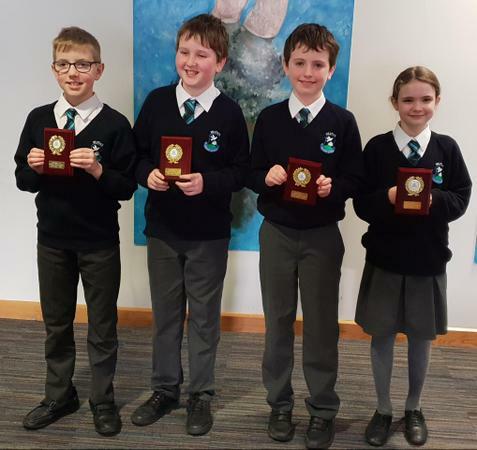 Caitlin, Eoin, John and Aran did so well and came third in the heat, only missing out on second place by the narrowest of margins. 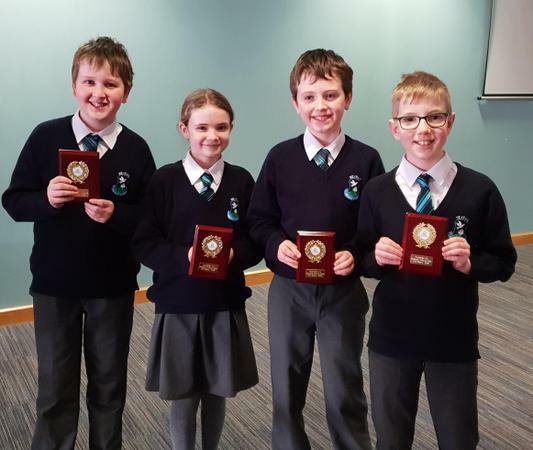 Unfortunately this meant that they were unable to participate in the next round of the quiz. 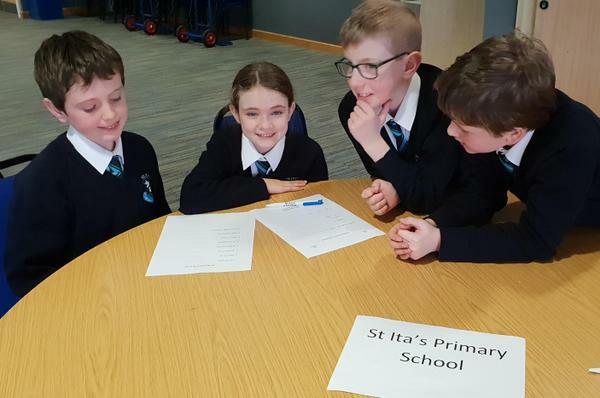 However, they did so well and everyone at St. Ita's are so proud of their achievement. 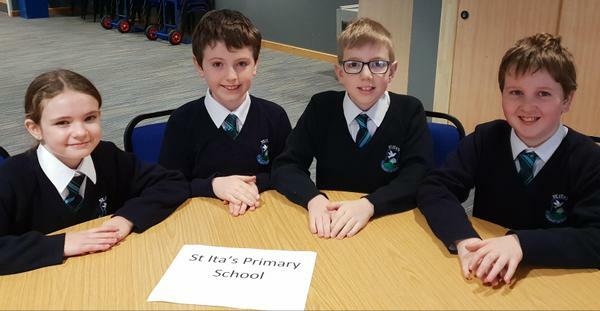 They represented St. Ita's so well.